Industrial adhesives are normally reliable and dependable for consistent bonding. When used correctly, industrial adhesives can save money, time and effort. Problems can and will arise when adhesives are used improperly which will cause complete chaos on the most sophisticated packaging line. 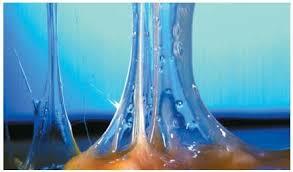 Impurities in either the dry adhesive, the substrate or the melted adhesive can cause loss of adhesion. Verify adhesive storage containers and substrate materials are covered properly to reduce the entrance of foreign materials. Some examples of foreign materials are box dust, milled food products, and any type of oils or impurities. Keep lids on glue melters closed to reduce the introduction of foreign materials into the glue tank. 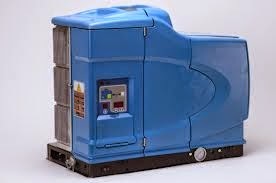 Any foreign material in the glue melter can char and plug the pump, hoses, filters, and applicator heads. When speaking with your adhesive vendor, provide a sample of the substrate(s) to which the adhesive will be applied. There are many varieties of adhesive and the adhesive must be specific to your particular substrate(s) in order to bond properly. Certain adhesives are not compatible with certain substrates and will have no bond strength. It is not ideal to mix any adhesives. If changing adhesives, always flush your glue melter completely to remove the old adhesive before using your new adhesive. Mixing adhesive chemicals can cause bonding issues and some types adhesive when mixed together can destroy your melter system. Read your adhesive specifications and use the recommended set temperatures. Heating an adhesive too high will cause char issues, cause degradation of the adhesive and thus, cause bonding issues. Heating too low may cause bond issues. Bonding issues can occur in cold environments or where fans or HVAC vents are blowing directly on the glue applicators. Check your set up and verify any type of fans are moved to face away from your glue applicators. Moisture is another factor that may adversely affect the adhesive bonding. Check the adhesive specifications and know your adhesive. Are you using the proper amount of adhesive on the substrate? This is a question to pose to the adhesive vendor in the beginning. There are different choices for how to apply the adhesive to gain the bond strength needed. You can use a stitch, dot, spray, slot or continuous bead pattern. If you don’t need full coverage and are looking to save money on adhesive, consider a stitch or dot pattern. Testing in advance is key to long term success. Call Keystone for recommendations on patterns. Discuss cure time with your adhesive vendor to determine the setup of your packaging line. Pressure bar time should be discussed at this time to determine how long pressure should be applied to the substrate for bonding purposes. The adhesive needs to have enough time to bite properly. Most adhesive and glue melter issues are not due to the adhesive or melters, but are due to how the adhesive and melters are being used/misused. Many dollars can be saved by being proactive in the setup stages in choosing the correct adhesive, using the adhesive properly and maintaining a clean glue melter. Need guidance with your glue melter setup and adhesive issues? Contact a Keystone representative or call us at 800-238-8090 to get help today.